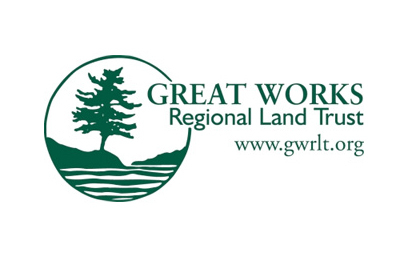 Great Works Regional Land Trust provides conservation options for landowners in the six southern Maine towns of Eliot, South Berwick, Berwick, North Berwick, Wells and Ogunquit. A member supported, nonprofit organization, Great Works’ mission is to conserve the value of our area’s natural, historic, agricultural, forestry, scenic and recreational resources. Great Works pursues this mission by holding property and conservation easements where these values are present and by promoting the need and importance of conservation through education and other related activities. Since our inception in 1986, the Trust has completed 111 projects conserving over 5300 acres.